Drying clothes is originally the most common thing in the daily life. However, living in high-density places of Hong Kong, the space for drying clothes at home has become more and more narrow. Private spaces are compressed to the limit, which makes the rest of the public space more precious. In the “laundry art” series of photographs, citizens respond to their own needs and discover, create and utilize the public spaces that belong to them. The characteristics of a city are not shaped by urban designers deliberately. 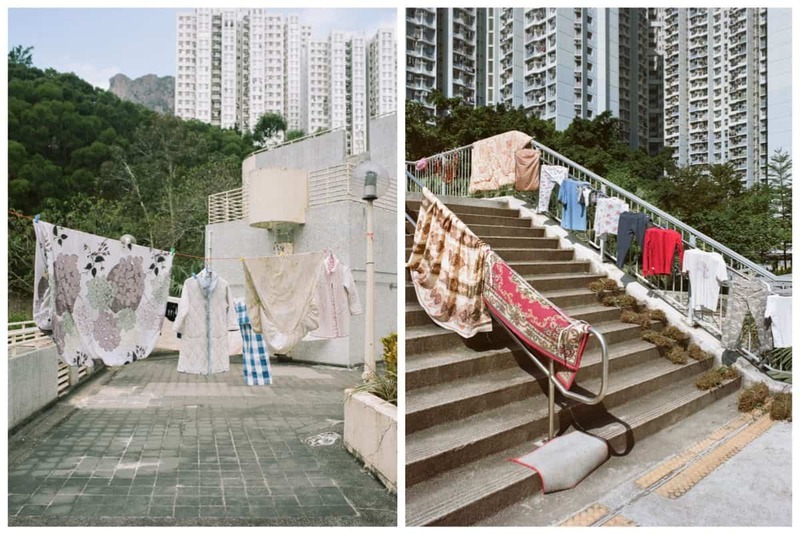 The art of clothes drying can be seen everywhere in Hong Kong. Some people carry their own clothes lines by skillfully using ropes and lamp posts, or ingenious use of the environment. It is inadvertently adding vitality to public spaces, I sincerely admire the laundry skills and adaptability of Hong Kong residents. Jimmi Ho Wing Ka is a post-90s young photographer in Hong Kong. Graduated from Open University with Bachelor of Fine Arts in Cinematic Design and Photographic Digital Art. Since 2013, He started to pick up his camera and make different photographs. Also, he won many international awards in just a few years. Most of his work mainly focuses on Hong Kong cities, building and thinking about the relationship between city and space. Wing Ka Ho [Hong Kong] is a Young Portfolio Award Finalist in the Invisible Photographer Asia Awards 2018. View more 2018 Awards Finalists.